Here’s some new game apps for the Kindle! 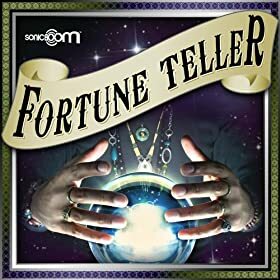 ‘Fortune Teller (Your Fortune Told on Kindle)‘ by Sonic Boom (the developer of the ff apps: Daily Horoscopes 2011 – 2012, Hangman, Hangman 4 Kids & Match Genius) is available on the Amazon Kindle site for $1.99. Just click here to download! Have your Fortune told on Kindle! Fortune Teller for Kindle helps you look into your future in three unique ways: Fortune Teller Hectar Predicts, Fortune Cookies, and Mystic Pyramid. Hectar the Fortune Teller will look into his crystal ball and make new predictions every day for different areas of your life: Love, Career, Friendship, Money, and Life. Fortune Cookie is inspired by Chinese fortune cookies. Each cookie may give you advice or reveal your fortune, and you may choose up to 3 cookies per day. Mystic Pyramid is a mystical Egyptian-themed pyramid. You are advised to think of personal questions that are important to you “with great reverence and intent” and press a button to get the Mystic Pyramid’s answers. Don’t pass up the opportunity to take a sneak peak at your future on Kindle! And check out the other new Kindle app after the jump! 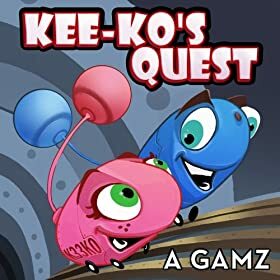 ‘Kee-Ko’s Quest (A Puzzle for Kindle)‘ by A Gamz (the developer of the ff apps: Checkers, Maze A Thon & Stopwatch and Timer) is available on the Amazon Kindle site for $1.99. Just click here to download! Kee-Ko’s Quest is a puzzle game in which you need to rearrange objects to clear a path for Kee-Ko, a robot. Kee-Ko works in a factory alongside other robots. Her boyfriend, F4R4W4Y, has been reassigned to a different room at the end of the factory. Kee-Ko has assigned another robot to take her place, and now intends to make her way to her boyfriend’s new room. She and all the other robots in the factory are built to move only on the rails set on the factory floor, and she’ll need to move other robots out of her way to exit each room. Help Kee-Ko navigate all 100 rooms and get to the end of the factory. Earn badges for accomplishments, beat your previous times, see how many rooms you can solve in the minimum number of moves, or just enjoy the challenge of solving them. If you want to skip ahead, feel free. You can complete the rooms in any order you like and return to each room just the way you left it. Help Kee-Ko find F4R4W4Y and enjoy the challenge of solving clever puzzles at the same time! New Kindle apps! Cocktail Mixer & Anywhere Stopwatch Happy Birthday to ME!